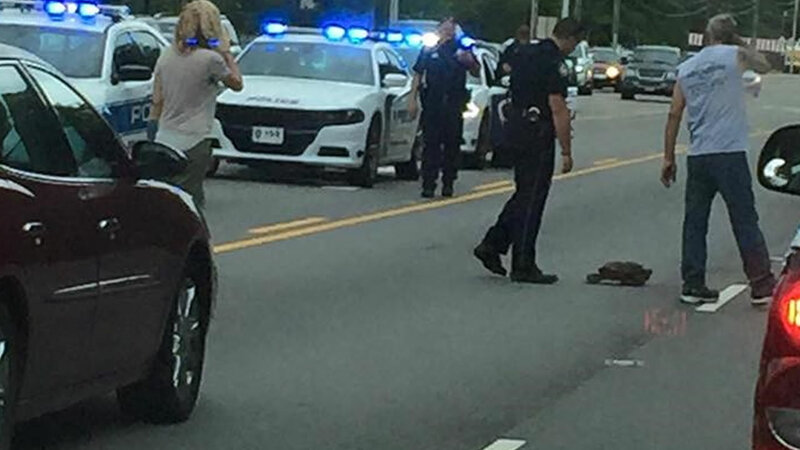 FUQUAY-VARINA, North Carolina (WTVD) -- Officers with the Fuquay-Varina Police Department came to the rescue of a large snapping turtle blocking North Main Street Monday. When they got there, several motorists had stopped and were trying to help the reptile - known for its powerful bite. Police guided the turtle out of the road and it was not hurt.